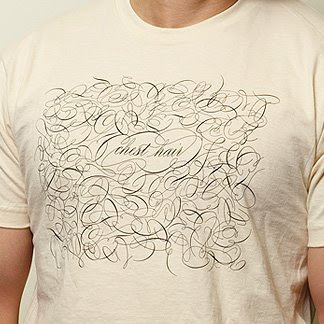 Hilarious typographic tshirt, found at veer.com among many other really cool designs. Horrendous chest hair formed by beautiful typographic swirls. Who would've thought!! !